Ladies, go ahead send your man a link to this as a hint. Valentine's Day is coming up and I honestly love the holiday. Even as a kid, I loved Valentine's Day and giving my classmates and friends Valentine's was always so much fun... even though I never ate the candy. Now that I've been in a relationship for the past 7 years, Valentine's Day is even more special because I get to spend it not only reminding my family and friends how much they mean to me, but I also get to shower David with a little extra love and affection. Anyway, let's talk Valentine's Day dates! Keep reading and just send the link to your S.O. to give them the hint. I love planning and some of these I've done and others I've heard about or just thought of! 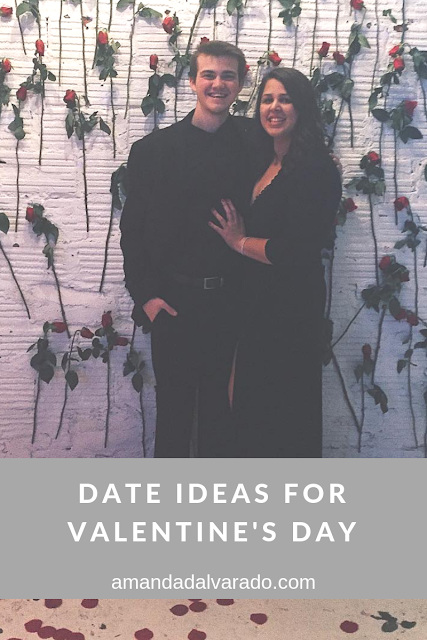 I mean, who doesn't love some cute Valentine's Day date ideas? Pick a good movie, order in, and stay in! I love going out, but I also love staying in. Especially if you're in a big city, you might not want to go out and fight the crowded restaurants. With Netflix, Hulu, and the ability to rent a movie from YouTube or Amazon, the entertainment options are endless. UberEats, Postmates, and GrubHub is also your BFF when it comes to food and a good bottle of wine is at your local grocery store. Light some candles, set the lights low, watch your movie, sip some drinks, and enjoy a relaxing evening in. And guys... ROSES! Bring her flowers. If the weather is nice, get outdoors! Maybe that means taking a hike or taking a walk at your favorite park. Bring along a nice picnic lunch (charcuterie, anyone?) or grab some take out and lay out on a nice blanket. A quick Google search will show you some great outdoor spots worth a good hike or walk, and you just might find a super romantic one! Take a cooking class. Many places have really fun cooking classes and you can learn how to make anything from pasta, pizza, and even fancy desserts. Yelp and Airbnb are actually great resources to use to find fun things like this to use. Have a good laugh and catch a comedy show. After some dinner, head over to a comedy club and have a few drinks while enjoying some really great comedy. Atlanta has a ton and I'm sure there's some near you, too! If you're around Atlanta, Dad's Garage is one of my favorite improv clubs. Punchline and Laughing Skull always have great line-ups, too! Head to your local spa and chill. Sometimes, relaxation is just what the doctor ordered. Book a massage at a spa and if it's part of a hotel, just book a room and make it a little staycation! 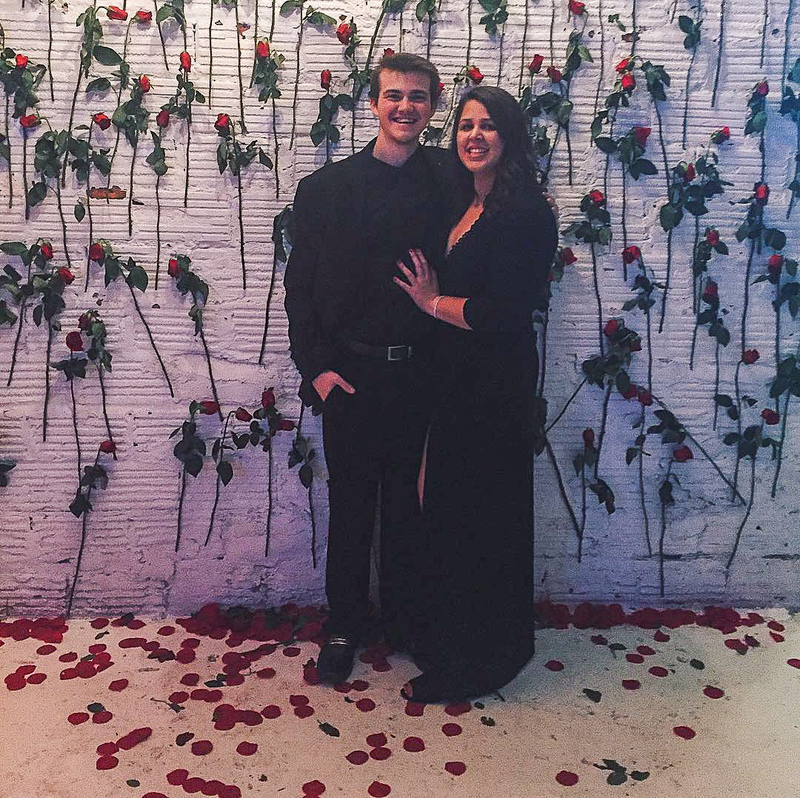 Valentine's Day isn't too many days away, so start planning if you haven't yet. Oh, and if you need some Valentine's gift ideas, my friend (and by friend, I mean I'm obsessed with her and follow her on Instagram, lol) Callie posted a really get list and I've got another list that will help you get your people some nice gifts! I love all of those ideas. The past few years I've been all for a movie and dinner in! Thank you! It's from Lulu's!